Every classroom of writing students requires flexible group dynamics. Teaching, in general, requires an open-minded ability to facilitate learning for all personality-types and individuals of diverse backgrounds, including gender, job experience, lifestyle, age (meaning life-experience skills, in this sense). College instructors, secondary school teachers, and all teachers certainly need energy to teach any subject to all students. The best memories from my college English composition course lessons linger from my students’ diverse perspectives and the infinite number of ways each one could perceive the same subject. When I taught three courses with thirty-five students per class, and I used the same writing exercises for each one, I came away with 105 different writing perspectives. 1. How many abstractions do you find in the passage? 2. How many specific and concrete terms are there? 3. How does Dillard achieve startling precision and grace? I’d provided more questions for my students, but this is just a sample. By examining Dillard’s perspective, students had a clear example from which they could practice their own writing. Another exercise to push students beyond the day-to-day “thought box” included particular 3-D images or optical illusions. A great place to go for practice is the Third Side Perspective. As students decided on their perspectives, on various pictures like those provided at the Third Side, I asked them to write a descriptive passage as detailed as possible. These exercises enabled students to approach writing from a reader’s perspective and learn how to apply their senses like Dillard. They had to think about how to “show” their subjects for readers. For instance, when you glance at the picture atop this Blog, what do you see? 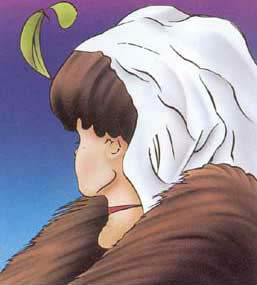 Of course, you might see one of two images, or both: an old lady and/or a young woman. How would you describe the picture provided here? These exercises can work for anyone. Our perspectives can be captured on paper or on a blank screen for others to see, hear, touch, taste, or feel. We need only think outside ourselves. How do you flex your perspective or practice drawing pictures and scenes with words?